Where you live and the air you breathe can have a huge impact on your health – and your wallet. Research shows that the poorer a city's air quality, the more likely residents will have to spend money on medical bills for related sicknesses or suffer from wage losses because such an illness puts them out of work. We analyzed the top 50 metropolitan areas in the U.S. to find the top 10 cities with the cleanest air. On average, air pollution in this country results in more than $50 million per TWh in annual healthcare costs, but these cities have taken some important steps to ensure their residents can keep their portion of those costs down. We first looked at each city's current Air Quality Index score reported by AirNow.gov, as of June 10. Determined by a variety of sources, including the U.S. Environmental Protection Agency and local health agencies, the score reflects a city's outdoor air pollution. Scores are based on the incidence of five major pollutants in the air: ground-level ozone, particle pollution, carbon monoxide, sulfur dioxide, and nitrogen dioxide. The Air Quality Index classifies scores between 1 and 50 as “good,” and scores under 50 indicate that air pollution “poses little or no risk.” The lower a city's score, the better the air quality. We gave these scores more weight than other factors when determining our overall rankings. Taking the findings of AirNow’s index further, we also looked at the percentage of workers in each city age 16 and older who commute alone by car, truck, or van to work, as reported by the U.S. Census Bureau's 2011 American Community Survey. This is a factor because pollutants from transportation are the largest single source of air pollution in the United States. Additionally, the longer the commute, the more frequently you'll spend money on gas, car repairs, and maintenance. Another component we considered is the percentage of adults who have reported suffering from asthma by state, as compiled by the U.S. Centers for Disease Control. Asthma is a costly chronic disease that is often triggered by outdoor air pollutants. Perhaps most important, the cities on our list have created the kind of environment that keeps residents healthy and allows them to keep their healthcare costs low. By enacting policies that foster clean air, these cities are ensuring the health and financial stability of all residents. Finally, we took into account the average amount of rainfall in inches for each city over a 30-year period. Studies show that the higher the air pollution, the less likely it is to rain in an area, so cities with higher precipitation are more likely to have better air quality. Boston tops the list as the city with the cleanest air and boasts the lowest Air Quality Index score possible. Boston’s accessible public transportation system, the “T,” has helped ensure that the majority of commuters — just over 60% — take public transportation, and some of the routes to the city give drivers incentive to carpool. Boston also has the Boston Air Pollution Control Commission (APCC), which enforces state and city ordinances against excessive idling of vehicle engines and regulates the amounts of smoke and debris that can be produced from industrial and construction sites. The APCC also institutes parking freezes in certain areas of the city to reduce emissions from cars, and encourages the voluntary retrofitting of diesel-powered vehicles with pollution control equipment. Let’s not forget Boston’s annual precipitation — those 43 inches each year are a good indicator that Bostonians are breathing easy. Want to start a business? 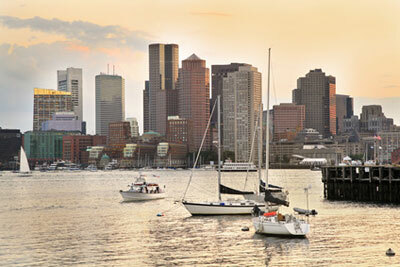 Did you know Boston ranks #2 on the best cities to start a business? San Francisco comes in second on the list because of its Air Quality Index score of 22, plus a relatively low amount of asthma sufferers, at just 12.8%. It also has an intricate public transit system consisting of cable car trolleys and busses, which results in fewer residents commuting by car — almost two-thirds of commuters either carpool or take public transportation. Moreover, the city encourages carpooling through its City Car Share program, which visitors can use to rent cars and electric scooters from nearby residents to reduce transportation pollutants. Launched in 2001, the program plans to have 20,000 cars off San Francisco streets by 2020. Not only that, participants may save a collective $1 billion on car payments if the program is successful. Now that’s a breath of fresh air! Are you an outdoor enthusiast? 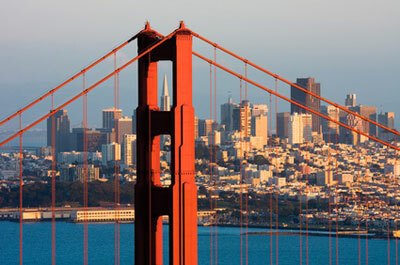 Check out why San Francisco is the #1 city for being active outside. With more than 41 inches of rain each year and a low incidence of asthma among adults, historical Arlington comes in third on the list. The city boasts a comprehensive ozone management program, which encourages telecommuting, reduced lawn mowing, and the refueling of vehicles during poor air-quality days. According to a 2008 survey of commuters in the Arlington and Washington, D.C., area, 67 percent of households don’t own a car at all, and 81 percent live less than half a mile from a bus stop. A further 68% of residents surveyed are a member of Zipcar, a car-sharing service popular in many major metropolitan areas. The city also created a program that provides financial assistance to employees who purchase a home in Arlington to shorten commute times to businesses in the city. Also, just last year, Arlington increased the employee metro subsidy (available to employees who commute via Metrorail, Metrobus, and other public transit) from 60 percent to 75 percent. Known as one of the country's rainiest cities, it is no surprise Seattle makes this list with almost 40 inches of rain each year. The city constantly works with its port and the Puget Sound Maritime Air Forum to improve air quality. Founded in 2007, the Puget Sound Maritime Air Forum works with local ports, including the Port of Tacoma and the Vancouver Port Authority, to ensure all three ports are committed to “improving the environment, public health, and the regional economy by reducing their impacts on air quality and climate change,” according to the Northwest Ports Clean Air Strategy. The Seattle government is also making air-friendly choices for its employees – Segways, which have zero emissions, are used by water meter readers. And in 2011, the city added 35 all-electric vehicles to its fleet. Living on your own? 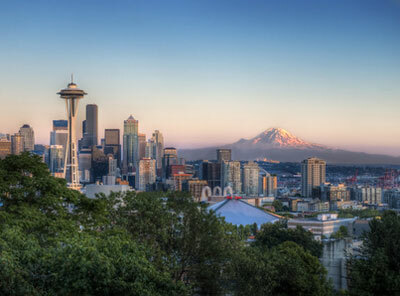 Check out why Seattle is #6 on the best cities for singles. Like nearby Seattle, Portland has a favorable Air Quality Index score of 20 and high annual rainfall at just over 37 inches. The city also has many neighborhoods that can be maneuvered on foot rather than by car, such as the Pearl District and Old Town. Additionally, a recent report by the American Lung Association showed Oregon has made significant strides in the past 10 years in improving its air quality. 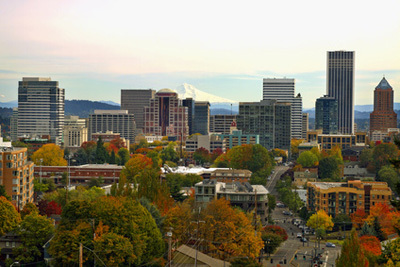 The city provides multiple options for public transportation with its TriMet system, including the MAX Light Rail, the Portland Streetcar, bus lines, and a WES Commuter Rail. Enjoy biking? Did you know Portland is the #1 best city for biking? It's a bit strange to think of the bustling city of New York as having clean air, but residents’ reliance on public transportation puts the Big Apple on our list. With almost 80% of commuters choosing to carpool or take public transportation, New Yorkers can breathe easier. Although medical treatment for pollution-related illnesses is never cheap, in New York, per capita medical costs topped $6,500 annually in 2011, the third highest in the nation, according to Bundle.com. Thankfully, in 2007, the mayor's office created PlaNYC, a program to improve air quality while supporting economic development. Its goal is to have the cleanest air quality among all U.S. cities by 2030. That’s not the only tough stance the city has taken in recent years. New York City law now limits vehicle idling time to no more than one minute near schools. City officials are authorized to enforce this law by issuing $350 fines for violations. Want to live car free? 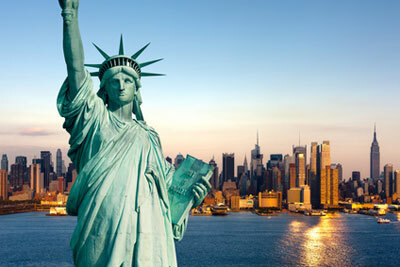 Check out why New York is the #1 best city to live without a car. Jacksonville is the country's largest city based on land mass and includes a five-county area, but its proximity to the ocean and St. Johns River, as well as rainfall of more than 52 inches, puts it on our list. Fewer than 14% of adults have asthma, and the city has a formal system for determining areas with high air pollutants and ways to improve them. The city has 12 air quality monitoring stations throughout Duval County that monitor everything from carbon monoxide to the ozone. Do you want to work, play, and sleep easy? 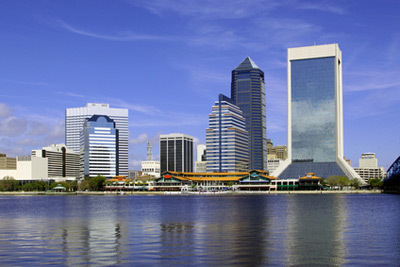 Check out what makes Jacksonville #9 on the list of best cities to work, play, and sleep easy. Omaha has the lowest percentage of adults with asthma at just 12.2%, and an Air Quality Index score of just 15. The city depends on the Ambient Air Monitoring Program to detect outdoor pollutants. However, increased heat in the area could make the city drop in a future list. With that said, the city knows that heat is a health danger to residents, and is doing its part to combat health risks while saving the environment. This summer, the Omaha Metro system is promoting “Ozone Awareness Days” through the end of August where residents can ride the bus for just 50 cents and enjoy 25-cent transfers. Saving the environment really can save you money! Want a good value pint? 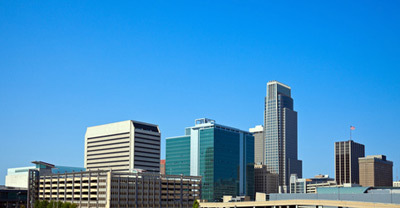 Discover why Omaha is the #3 best city for beer lovers. The nation's capital ranks ninth on the list of cities with the cleanest air. With 66 percent of all residents either carpooling or taking public transportation, Washington, DC, is a good choice for residents who enjoy saving gas money and the environment. Unfortunately for residents who suffer from asthma and other air pollution-related illnesses, it has the highest per capita medical costs of any city in the nation, at $8,295 per year, according to Bundle.com. But don’t be afraid to take a deep breath in this town — DC is surrounded by cities with high air quality, including Virginia Beach and Arlington. DC also has a strict air monitoring program and conducts annual emission inspections on cars to measure their air-pollution output. Looking for a way to make more money? 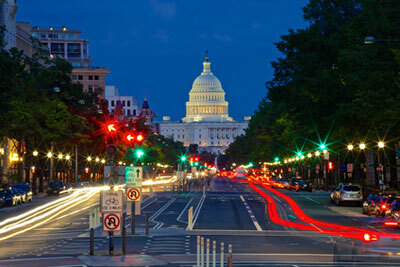 Read here to see why Washington, DC, is the #3 best city to get rich. Virginia Beach is the second city from Virginia to make the list. Like Arlington, Virginia Beach has high annual precipitation at more than 45 inches, and a relatively low Air Quality Index score at 24. Virginia Beach is subject to the state's Clean Air Institute Rule (CAIR), developed to significantly reduce sulfur dioxide emissions by 46 percent by 2015. Already, CAIR has reduced sulfur dioxide emissions in Virginia from 216,000 tons annually to 136,000 tons in 2010. By 2015, that number is projected to hit 116,000 tons. According to a recent study by Edinburgh University, a 3.9 microgram reduction in levels of “fine particulate matter” in the atmosphere could prevent 8,000 people from going into the hospital each year and save the U.S. an estimated $450 million. Want plenty of jobs, fun, and a good night's rest? 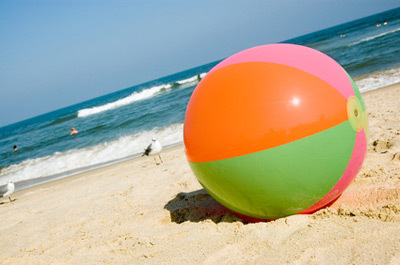 Check out why Virginia Beach is the #1 best city to live. Whether you reviewed this list to see how your city stacked up or you’re curious about the air quality of your next place to live, know that the air you breath can have a cost attached to it and represents a quality-of-life issue. Long-term exposure to air pollutants can lead to illnesses that really take a toll on medical expenses. Our list presents areas that are promoting a healthier environment – some by actively minimizing air pollution and others by the residents themselves who use public transportation in large numbers. Keep in mind this study considered only major metropolitan areas, which explains why it includes some surprises, like New York City. Our focus was on overall air quality and associated costs related to pollution and its effect on working people, and we did not factor in other data points that could have changed the order on this list. For example, we did not consider nearby factories and power plants, so you may want to determine an area's proximity to these types of facilities before purchasing or renting a home in a city. If the environment is particularly important to where you live or travel, then you may want to read other recent studies by CreditDonkey: See Best Cities to Live Car Free and Best Cities for Biking. 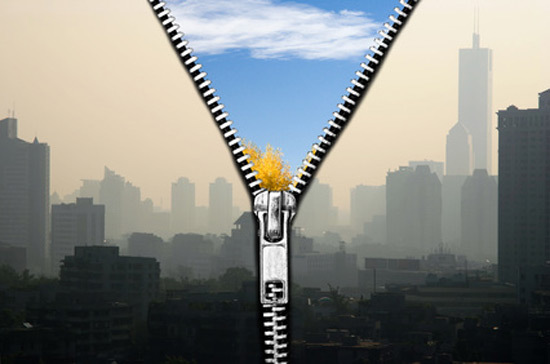 Share on Facebook "Study: Cities with Best Air Quality"